List Rules Upvote the ghost videos that make you a believer in the paranormal. While most people will likely never see a ghost in real life, haunted recordings purportedly showing ghostly figures actually exist. Some people believe it's easier to capture ghosts on film due to energy impressions or the ability of a camera to capture a single moment in time, and it's easier than ever to share these real recordings of ghosts online thanks to YouTube, Reddit, and other social media. These videos, taken in multiple places throughout the world, feature strange appearances and events that are tough to explain without a supernatural influence. These creepy ghost recordings offer compelling existence for spirits. Some are malevolent, some are indifferent, and each one is an interesting peek into what might be happening beyond our realm of experience. Though some people might explain away these images because of camera tricks, digital manipulation, or other explanations for each anomaly, there's no way to prove these scary ghosts caught on video aren't real. These ghosts caught on tape will thrill and chill even the most hardened skeptic. The first part of this video, in which a man is woken up by the sound of crying and finds a crouching figure in the hallway, is scary enough. But when he returns for another glimpse at the figure, he finds it closer, its arms in the air, making it less likely to be a figment of his imagination and more likely to be some otherworldly presence in his home. Pet owners know the eerie feeling of seeing your cat or dog watch something you can't see, and this dog owner put their pet's extra senses to the test. 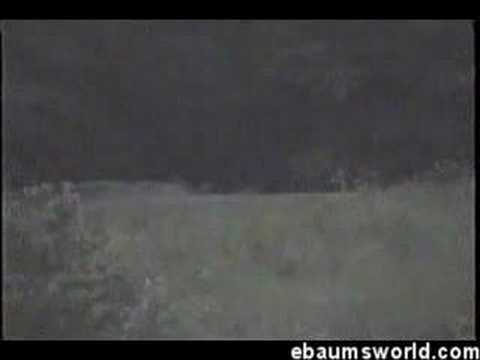 Captured in 2008, the footage starts off with radio interference and an orb, but gets substantially weirder. A door opens and shuts on its own, a roll of paper towels goes flying, and the dogs bark and retreat from something behind where the camera is sitting. It's a freaky scene, one that's not easily explained by camera tricks. In this news video, a child appears to be haunted by a duppy, a malevolent spirit of Caribbean origin. While the boy in the video claims the duppy is the spirit of a friend, it behaves violently toward him, pushing and pulling him in different directions. Some people have written off the video as a fake, but watching the boy's movements carefully, especially in the second attack, shows him flailing and kicking in ways that don't look like acting. Without follow-up, we don't know whether the spirit ever left him alone or if he continued to be haunted - we're left only with the lasting image of a young boy tormented by a violent duppy. If places that have seen large losses of life are more likely to be haunted, it's no surprise these tourists saw a strange sight on the Gettysburg battlefield. Off in the distance, you can see several figures marching back and forth with a strict uniformity reminiscent of soldiers on a battlefield. The figures are just humanoid enough to attract our attention, but not so clear they feel fake. The whole scene looks like an echo of a past event, perhaps the time before these soldiers met their deaths in battle.